JetBrains RubyMine IDE includes a comprehensive Ruby code editor aware of dynamic language specifics. It provides smart coding assistance, intelligent code refactoring, and deep code analysis capabilities. 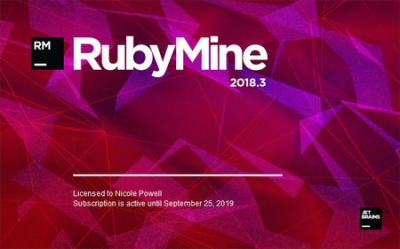 With easy project configuration, automatic Ruby Gems management, Rake support, and built-in consoles, it has everything a Ruby developer needs in a development environment. Forum Saati: 08:55 AM. Zaman dilimi GMT +2 olarak ayarlanmıştır.